*HOME WARRANTY INCLUDED!!!!! 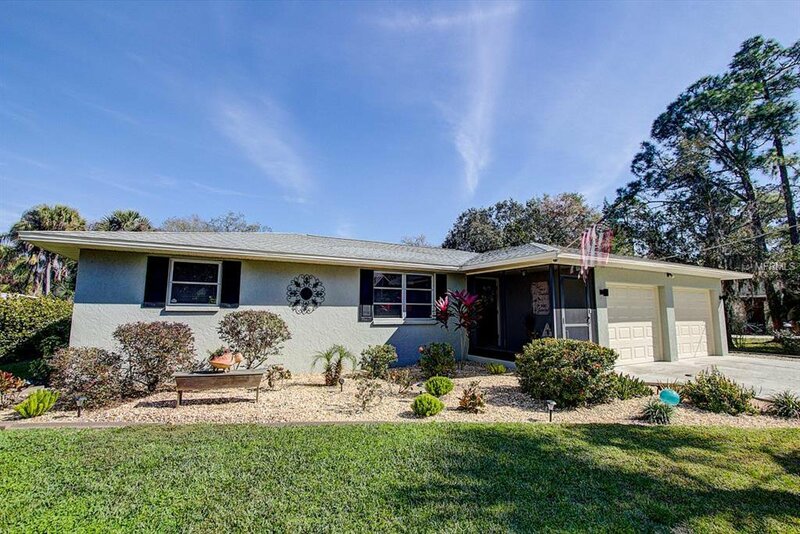 !- *LOCATION LOCATION LOCATION *1.6 MILES FROM BEAUTIFUL NOKOMIS BEACH. The open concept floor plan of this ranch style home creates a large space for ease of everyday living as well as for entertaining. The split bedroom plan includes a double master bedroom and shared bathroom and an additional bedroom and bath. Updates include 2018 NEW kitchen cabinetry SOFT CLOSE, appliances and LED lighting; laminate and ceramic tile floors, NEW RE ROOF IN 2012, NEW HVAC IN 2017 and electric water heater. The paver patio and the covered and screened lanai is perfectly private, surrounded by mature landscaping. It makes a great outdoor brick patio/living space with room for barbecue and parties. No HOA means that you can park your boat, truck or recreational vehicle on the premises. A large shed accommodates tools, toys, gardening equipment and more. The location is convenient to Nokomis Beach, shopping, Rte 41 and I-75. HURRY BEFORE THIS IS GONE! DRIVE BY AND YOU WON'T LEAVE! MOTIVATED SELLER! Listing courtesy of KELLER WILLIAMS REALTY SELECT. Selling Office: KURVIN RESIDENTIAL LLC.